I decided a while back to use some Kaffe fabrics for a string quilt. 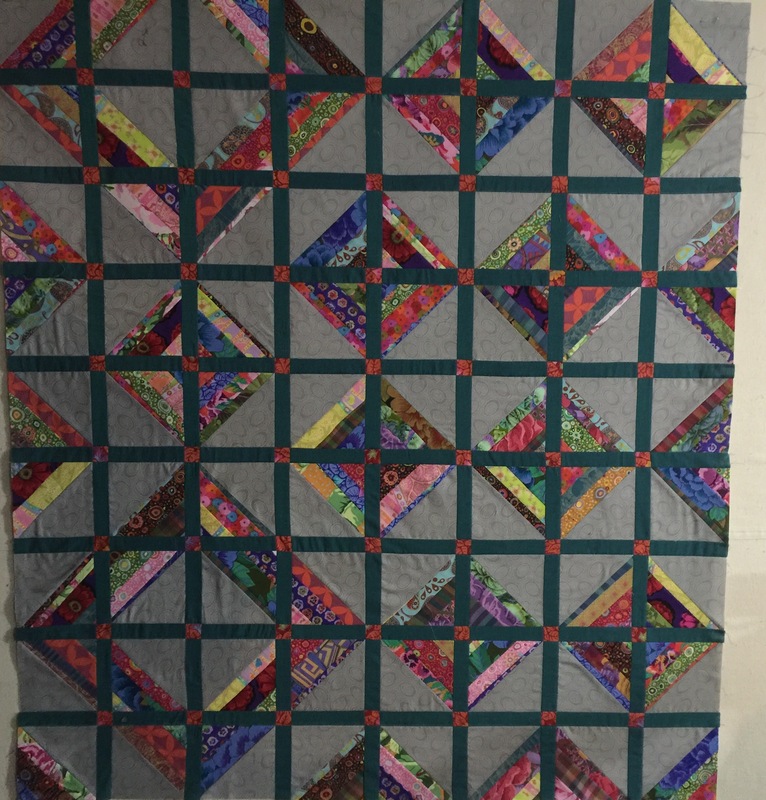 The quilt I made had some leftover blocks so I played around with them and decided on this layout. I added sashings and cornerstones, now it’s time for borders. I’m planning to use more of the orange fabric for a small border then use another Kaffe print for the outside border.